Pro tip: never turn down a photo op with Hillary Clinton. Another pro tip: after you've seized the opportunity to take a photo with her, tweet it. When you take that advice, the Internet gets something pretty cool. Look no further than Verne Troyer, who took an awesome photo with Hillary Clinton. He later tweeted it, giving us all the opportunity to see the former Secretary of State with the actor, making for one of the most random combinations of people you'll ever see. You can see the photo below — it's pretty great. So, what was Troyer doing with Clinton? The actor, famous for playing the iconic Austin Powers villain Dr. 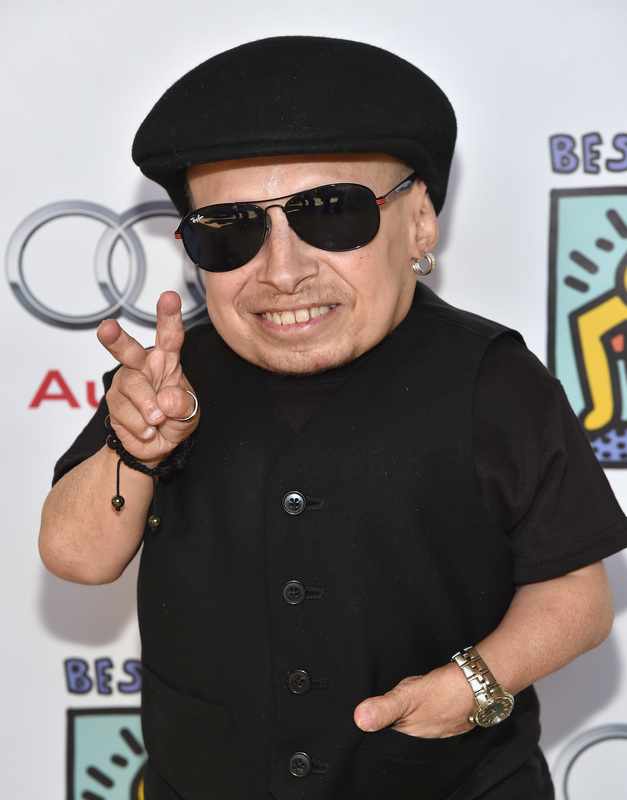 Evil's sidekick clone Mini-Me, was at the Starkey Hearing Foundation's "So The World May Hear" Gala on July 20 in St. Paul, Minnesota. The event, which is a benefit to grant hearing aids for those who need them, is a star-studded fundraiser where people like former President Bill Clinton have been honored. Hillary Clinton was present at the event, thereby giving Troyer the opportunity to snap this photo with her. Of course, since Clinton's been repeatedly hinting at the possibility of running for President in 2016, some folks on the Internet are now joking that there should be Clinton/Troyer '16 campaign. After all, the Internet loves random combinations of people in photos, and it goes particularly nuts when the combination consists of a politician and the star of a movie from 1999. Those random '90s references really do it for the Internet.